This is the solution for the effortless removal of long-lasting or waterproof make-up. The power of the micellar water is combined with oils, making this cleaning water super soft for both your eyes and your skin! 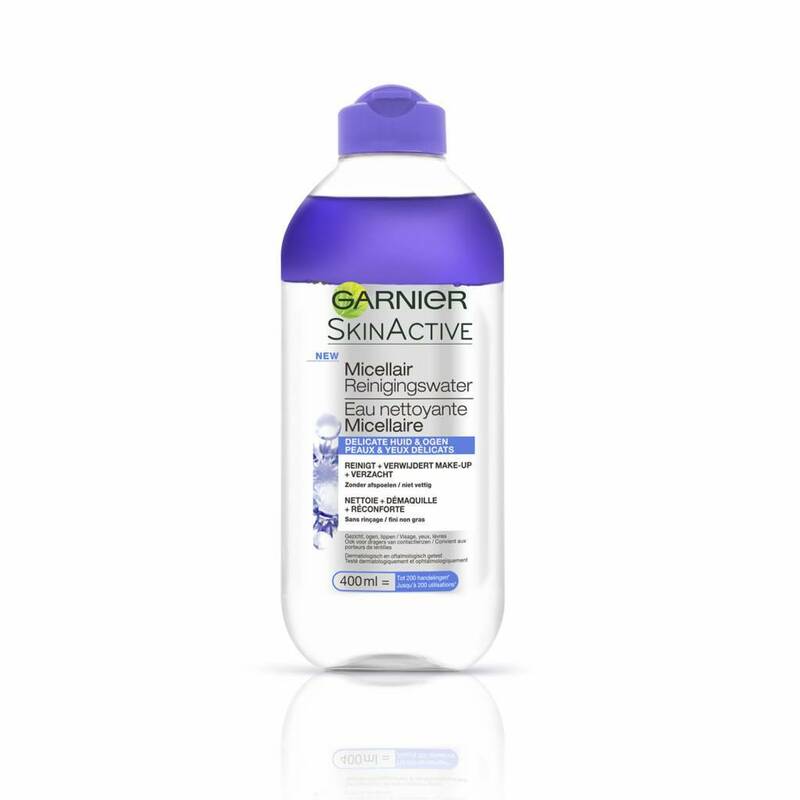 Garnier Skincare SkinActive Micellar Cleansing Water Blue is the solution for the effortless removal of long lasting or waterproof make up. The power of this micellar water is combined with oils, making this cleaning water super soft for both your eyes and your skin. 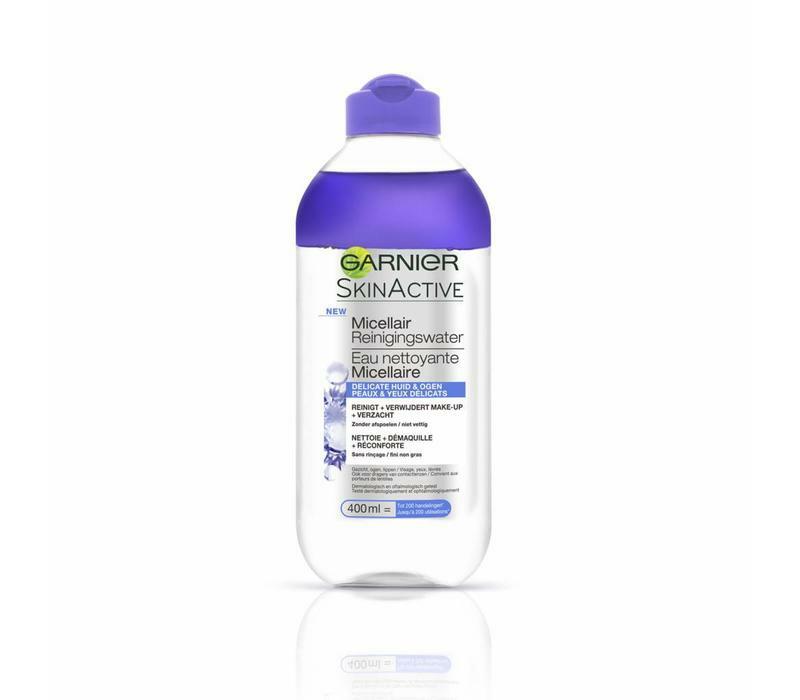 In addition, the formula contains cornflower water, a delicious indulgence for your skin, because of this your skin will feel relaxed without feeling greasy! Effortless removal of long lasting and waterproof make-up. Cleans your skin without feeling greasy. Let your skin feel relaxed. Aqua / Water, Cyclopentasiloxane, Isohexadecane, Centaurea Cyanus Flower Water, Potassium Phosphate, Sodium Chloride, Arginine, Coco-Betaine, Poloxamer 184, Dipotassium Phosphate, Disodium EDTA, Propanediol, Citric Acid, Hexylene Glycol, Myrtrimonium Bromide, CI 60725 / Violet 2 , CI 61565 / Green 6, Linalool, Geraniol, Limonene, Benzyl Alcohol, Benzyl Salicylate, Fragrance / Fragrance, (FIL B214319 / 0).